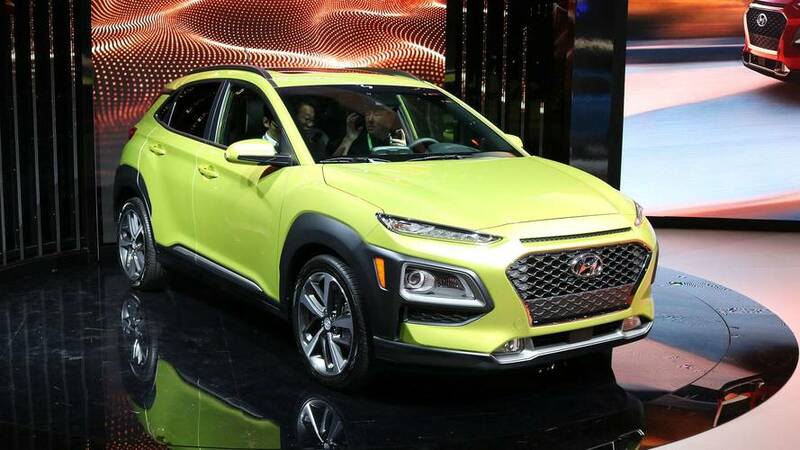 The Hyundai Kona isn’t new to the greater world of the auto industry – we saw it earlier this year and Managing Editor Steven Ewing drove one in June – but it finally makes its U.S.-market debut at the Los Angeles Auto Show. The South Korean-built model will go on sale here in the first quarter of 2018. 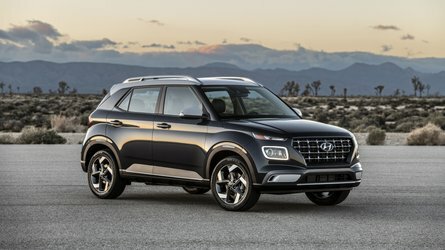 The 2018 Kona is part of Hyundai’s big roll-out of eight crossovers between now and 2020. 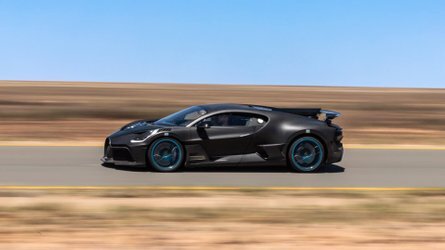 It comes as the automaker seeks to bolster its offerings in the increasingly popular segment here; “We’ve been a little bit slow in terms of … having a wide selection of CUVs for our customers coming to showrooms,” says Mike O’Brien, Hyundai Motor America Vice President of Product, Corporate, and Digital Planning. 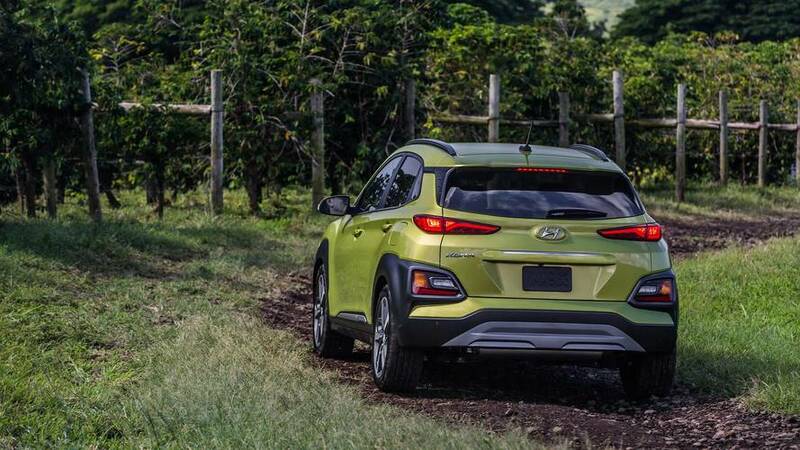 The Kona is aimed at what Trevor Lai, Hyundai’s product planning manager for crossovers, describes as “pre-family” buyers. 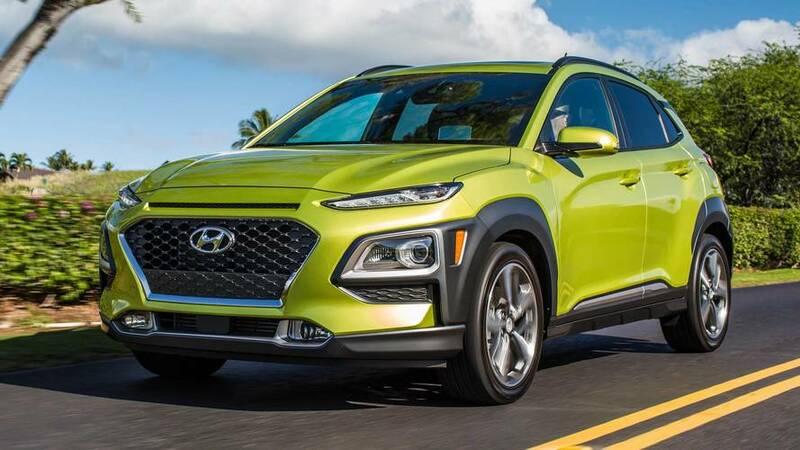 Compared to the people expected to buy the Hyundai Tucson, Kona shoppers are more likely to be singles or childless couples in their early 30s. He also notes that it’s a car segment with high lease penetration and, typically, a relatively low average ownership age. 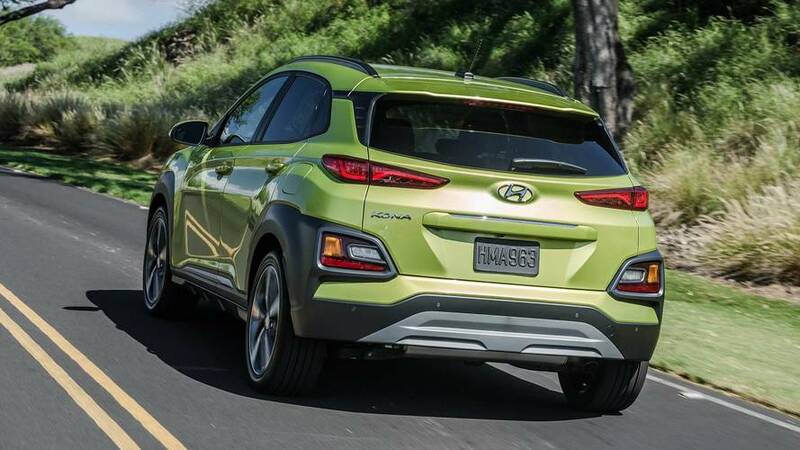 Compared to the Tucson, the Kona is 12.4 inches shorter in length, 5.0 inches lower in height, and rides on a 2.7-inch shorter wheelbase. Compared to the Tucson, the Kona is 12.4 inches shorter in length, 5.0 inches lower in height, and rides on a 2.7-inch shorter wheelbase. 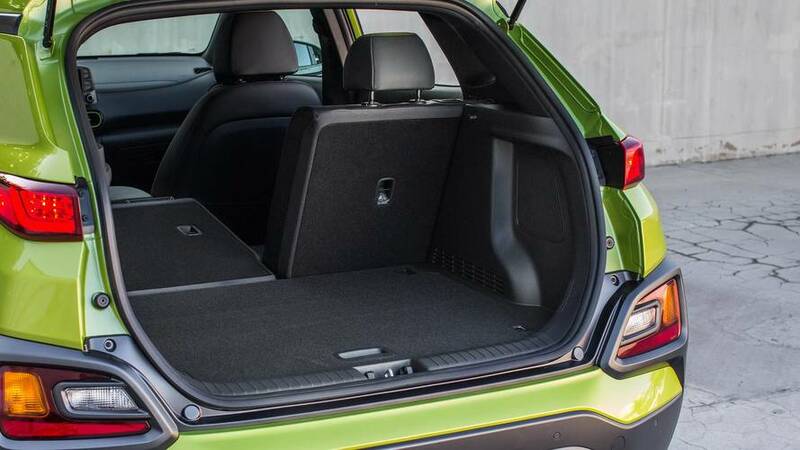 Cargo space is far less than in the Tucson, at 18.4 versus 31.0 cubic feet with the seats up, though Hyundai notes that’s still more space than in the trunk of a Sonata sedan (16.3 cubic feet). Design-wise, the 2018 Kona looks just like what we saw overseas: typically Kia fun and funky. 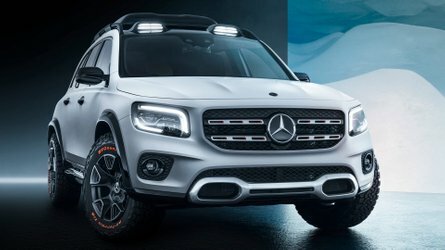 The styling inspiration theme is called “Urban Smart Armor,” and it begins with a Jeep Cherokee-like tri-level light design: LED daytime running lights up top, then LED headlights, then LED foglights down below. It’s a striking nose, with a small air vent at the top of the big grille. It’s also more than a little bit reminiscent of Citroen’s C4 Cactus. 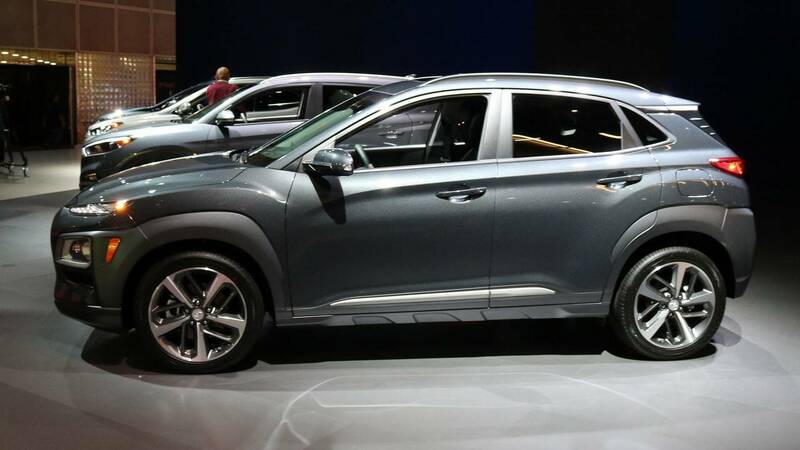 Around the sides, Hyundai has stuck black plastic fender cladding around the wheel wells to give the Kona a sense of rough-and-tumble toughness. Up top, look to a prominent roof spoiler, faux “floating roof” C-pillars, and roof rails. The taillights are mounted up high while the reverse lights and turn signals stick out on blocky black plastic elements. From behind, the look is very much Subaru Crosstrek. The color palette includes bright “Lime Twist” and “Surf Blue” options, with two-tone roof pairings available. Eighteen-inch wheels are available as an option. The base engine is a 2.0-liter inline-four rated for 147 horsepower and 132 pound-feet of torque. With a six-speed automatic transmission, it’s expected to return up to 30 miles per gallon combined when equipped with front-wheel drive (about half of Konas are expected to have AWD). 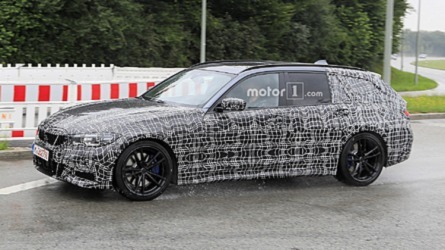 The upgrade mill is a turbocharged 1.6-liter good for 175 hp and 195 lb-ft; it couples only to a seven-speed dual-clutch and will return 29 mpg combined with front-wheel drive. 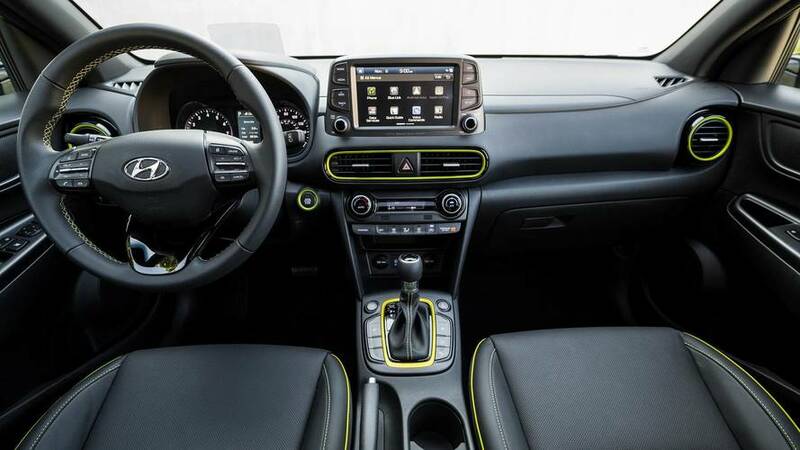 The cabin is just as funky as the outside in terms of its design, with available lime-green accents, big air vents, and a touchscreen protruding from the top of the dash. Hyundai says the Kona is made from 51.8-percent high-strength steel, with even more structural adhesives (which save weight versus welding) than in the larger Tucson. Front-wheel-drive models use a torsion-beam rear suspension, mainly because it’s lighter and cheaper. 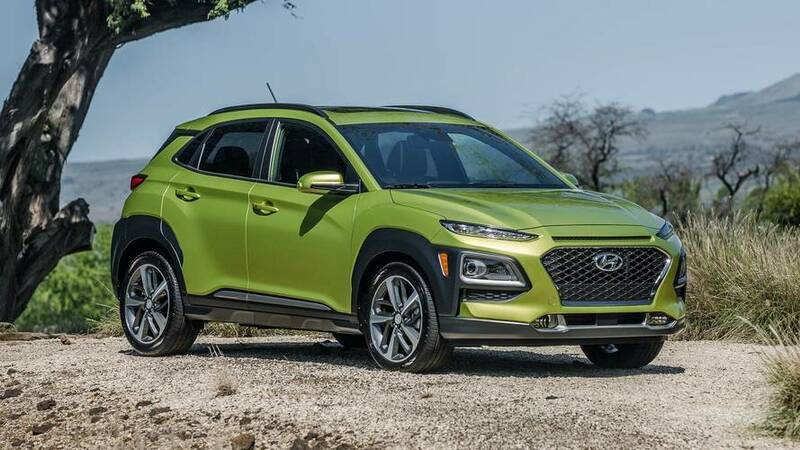 All-wheel-drive Konas get a multlink suspension to accommodate the rear differential, though Hyundai promises the two versions are tuned to have almost identical ride-and-handling characteristics. Both versions boast a MacPherson strut front suspension related to that of the Elantra. 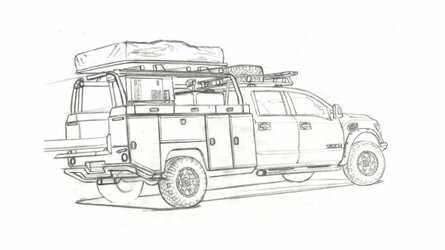 The Kona’s platform was specifically designed to keep the tunnel that accommodates the exhaust and propshaft as low as possible, to reduce any impact on passenger and cargo room. 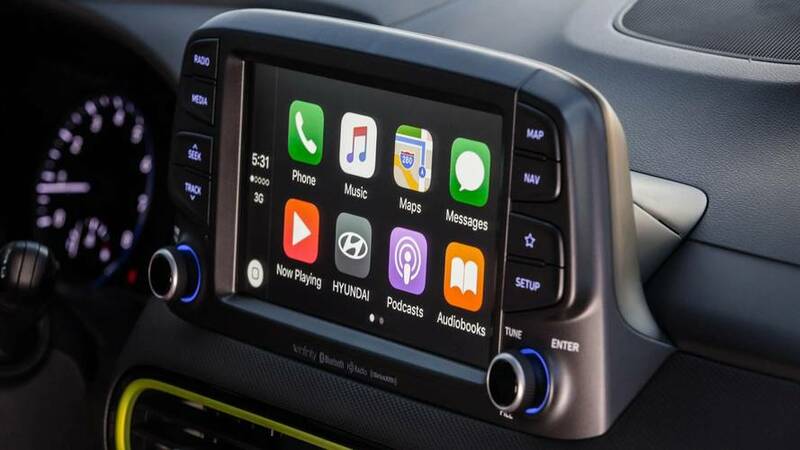 The cabin is just as funky as the outside in terms of its design, with available lime-green accents, big air vents, and a touchscreen protruding from the top of the dash; Apple CarPlay and Android Auto are standard on both the 7- and 8-inch versions of that display. Options include a color head-up display projected on a pop-up piece of plastic, which Hyundai says is brighter than the HUDs in rivals Mazda CX-3 and Mini Clubman; wireless phone charging with a pad that’s big enough to fit an iPhone 8 or Samsung Galaxy Note 8; and a big sunroof – all features Hyundai is keen to note are unavailable on the Toyota C-HR, another important rival. 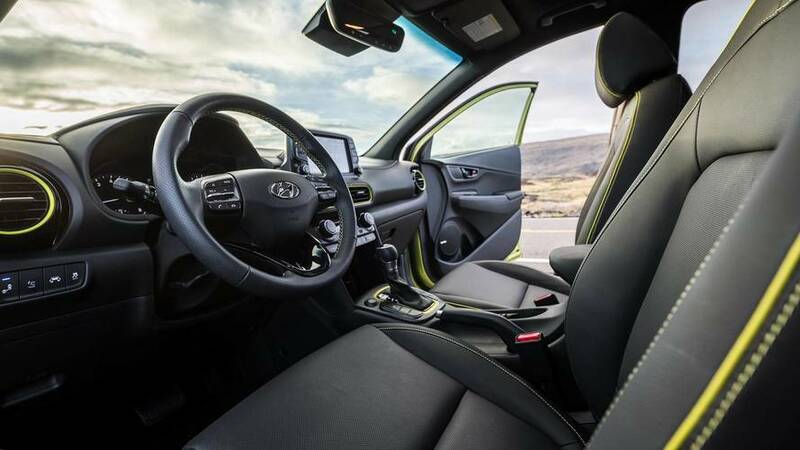 Available active-safety tech includes Hyundai’s first application of a driver-attention warning system, as well as Hyundai’s first lane-keep assist (previously the company has only had lane-keep warning). Based on the projected sales mix, Hyundai says 90 percent of Konas will offer blind-spot warning with rear cross-traffic alert. 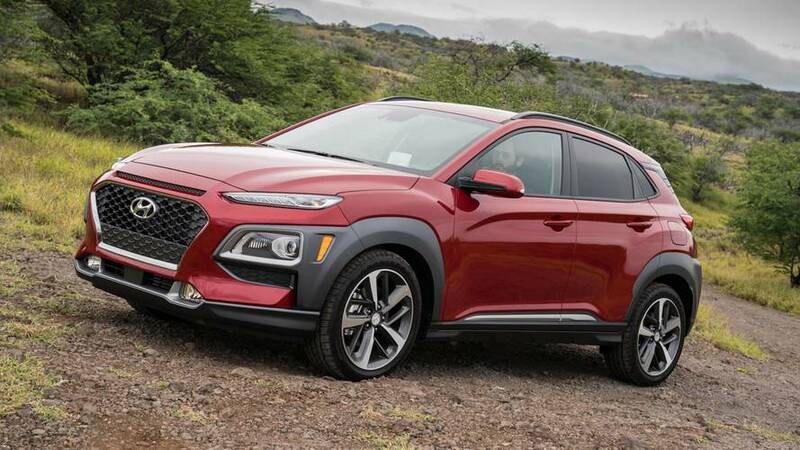 Pricing for the 2018 Hyundai Kona won’t be announced for some time, but based on our early drive of one overseas, we’re looking forward to spending more time with the fun, youthful crossover once it hits showrooms early next year.